You are probably familiar with the Team Oregon Program that started after the MSF changed its basic rider program to the BRC around 2002. The people in charge in Oregon at the time were not happy with the new BRC and so developed their own new rider training program that was in some ways based on the MSF's old program which was the Motorcycle Rider Course: Riding and Street Skills program (MRC RSS). Following the introduction of the new Oregon program, Idaho took what Oregon had developed and made it their own. That program has evolved through the years and been modified to be better. From the information that has been provided, the new program here in California will be based on the existing Idaho program. 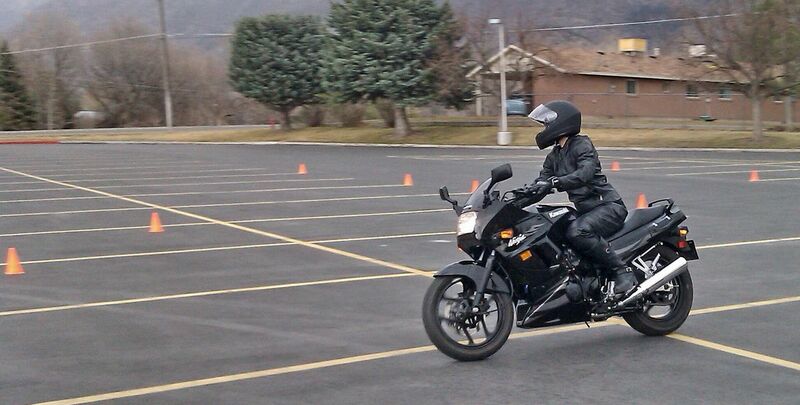 This new program is more focused on cornering and breaking which is where most of the motorcycle accidents occur. The new curriculum will also give the students much more seat time (miles ridden) during the class. The average student will ride around thirty miles per class. Of course classroom delivery will be different and more like the current Total Control classes. The program is more focused on the riding gear and the risks of riding. A few days ago I saw a discussion online from a current MSF coach in California who was uncertain about what is going to happen to him and his colleague trainers. Do you have anything to say to them? The roll out of a new program will require each instructor to go through an instructor update that will take three to five days. Some may feel this is a lot to ask of the instructor corp. If the MSF had bid on and won the new program the New MSF BRC would have been introduced in California as it is in other states. This change would also have required the instructor corp to also go through a three day update. Total Control is going to do it's best to get them all up to speed as quickly as they can; I hope that the current instructors keep an open mind and when looking forward remember why we are in this. I cannot speak for everyone but I know that I am in this for the benefit of the riders. I'm assuming you guys are doing everything you can to involve all the current coaches with the new program and not leave anyone behind. We are giving all the existing rider coaches the opportunity to be trained in the new course. There may be many who do not want to make a change at this time and will no longer be involved. We are expecting everyone who wants to move forward to be able to do so. If someone cannot meet the requirements on the first time around, they will have the opportunity to give it a shot again at a later time. And I understand motorcycle coaching is really not a high-paying job. It's mostly a voluntary thing that coaches do for the love of motorcycling. Correct. I've been teaching riding for more than fifteen years —twenty if you count my off-road stuff— and all this time I've been maintaining a full time job as well. So we may have some instructors out there who may only teach a couple of classes a year and may not be ready to make another change —which they would have to even if the MSF had stayed in California. But at the same time we've also had a lot of enquiries from people who want to teach the new curriculum who aren't currently instructors. For the last few years it's been discussed by riders and coaches how the MSF has oversimplified their courses and how their basic course is not really enough to survive riding in a real world scenario. How do you think this move in California will affect the MSF curricula? Personally, I kind of felt that way when they made the switch to their current Basic Rider Course and the new switch seems to take the instructor out of the equation even more. The Total Control basic curriculum is setup different than the MSF's basic curriculum; we have different goals and our ultimate one is to make safe and responsible motorcyclists. We are going to include more seat time, more cornering, more braking; all those things that the rider needs. Do you foresee other States following what California just did and adopting other non-MSF training programs? I'm sure all eyes in the country are watching California right now. Over the years, there have been other states that have become unhappy with what is going on with MSF. Going all the way back to 2002 when Oregon and Idaho stood up because they weren't happy and there have been other states that have been looking into it. Then there were lawsuits with MSF suing Oregon and things like that which made other states hesitant to move forward, but I think now —with the new curriculum available- it may come to pass, that other states will also switch. Thank you very much for your time, I really think this is going to answer some of the main questions around this switch in the motorcycle training program in California. You are welcome. I mean, our goal, of course, is to reduce accidents. I'm a rider, you are a rider, and the last thing we want to see is more motorcycle fatalities. Again, I'm not here to bash the MSF, I think they've done a great work over the years but like I said, they didn't bid on the contract so it wasn't like someone stole it away from them or anything. We are all trying to achieve the same goal which is to avoid fatalities and keep people from getting hurt.